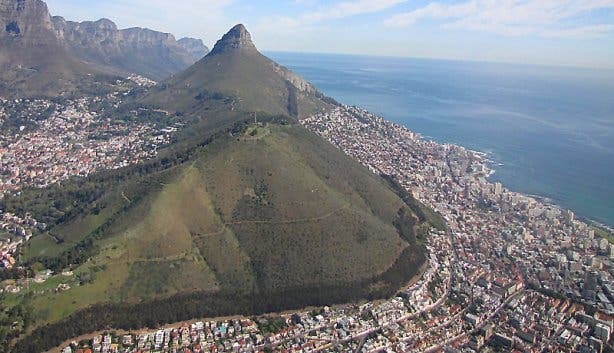 Lions Head in Cape Town is the distinctive shaped mountain slope found alongside Table Mountain. The proud lion overlooks the city and Table Bay on one side, and the scenic Atlantic Ocean coastline on the other. On a clear day the views from atop Lions Head are spectacular and great for taking photographs of the Cape Peninsula and Robben Island. 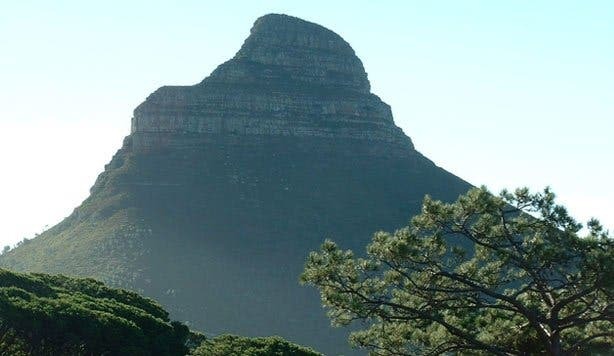 It is a spectacular walk to the top and although it can be quite steep at times, the stunning views of Cape Town on the way up will keep you motivated to reach the top. The walk to the summit should take approximately an hour and thirty minutes. Along the path you will find a series of chains and ladders to assist you as you scramble up a particularly steep section of rocky faces. Although these chains add an element of adventure, be cautious they are not suitable for young children and the elderly. Walkers with children are advised to take the more child-friendly alternate route around the chains. The summit is a popular spot for paragliding due to the thermals and the nearby beaches. It is also a popular spot for sundowners. Lions Head is also a popular spot for Full-moon hikes. 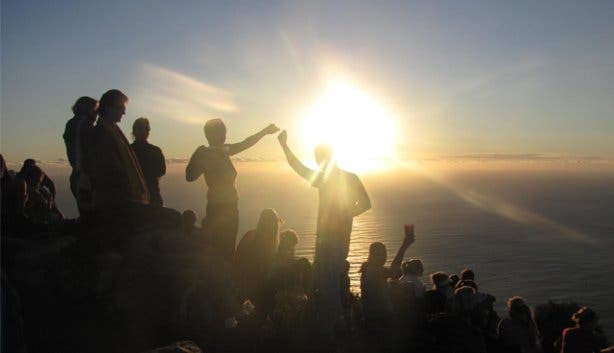 Take a walk on the wild side tonight and climb up Lion’s Head in Cape Town. Lion’s Head is the perfect place to go on a full moon walk for panoramic views at dusk. 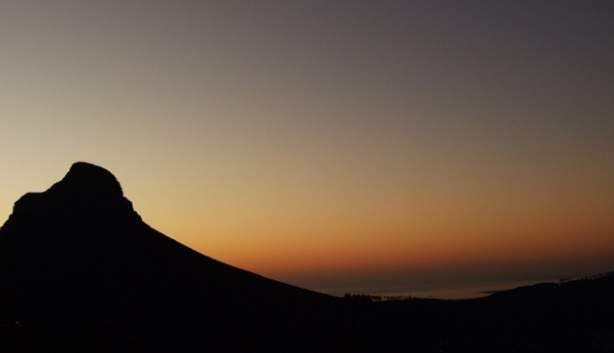 Walking up Lion’s head during the full moon, you will experience the best of both worlds with the sun setting over the sea and the moon rising over the mountains. Even if it is warm enough for shorts and a t-shirt during the walk up, it is advised that you take something warm to wear for when the temperature drops after sunset. Things you will need for the full moon hike include: a headlamp or torch, warm jersey, comfortable hiking shoes, camera, backpack with food and drinks, and friends to enjoy the adventure with! The entrance to Lions head can be found on Signal Hill Road, at the Base of Forestry Road. Coming from the centre of Town; drive up towards the mountain in the direction of Camps Bay, via Kloofnek Road. You will find the Lion's Head turnoff at the lowest point between Table Mountain on the left and Lions Head on the right. The signage is clear and Signal Hill Road is just to your right. You will see the parking after about a hundred meters and the LIon's Head hiking path is also clearly marked. You've gone up during the day, now why not try a full-moon hike up Lions Head. Read more about this breathtaking hike in our article on a Full Moon Hike up Lion's Head.